I know it’s November, and the idea of tackling the garage is insane. I actually began tackling our garage in October, but with the crazy life we have, I haven’t the had time to share. The garage is not completed yet, and I will be working on it as these posts go up, but we did begin purging weeks ago when time allowed. I will be posting not only pics of our completed areas, but other organizing ideas and their links. Assess what items you have to organize, what tools you have to organize with, what you can afford to purchase to help with organization and how you would like to organize each area. 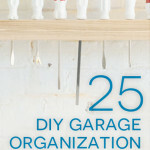 As you are planning your new garage layout, keep in mind that just as our lives change so does our collection of stuff. 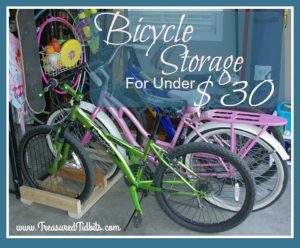 Right now your garage may be full of riding toys, balls and sports equipment or accumulated piles of inherited stuff. 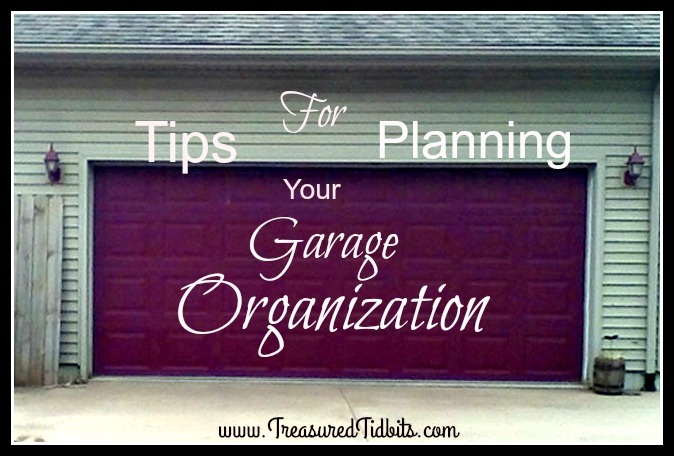 Organizing what you have, regardless of what it is, should not require a lot of money. 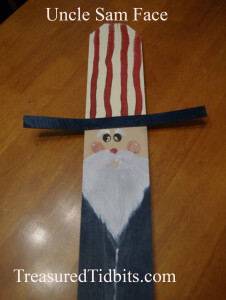 We will be suggesting organization tools that range from free and easy, to a bit more challenging and more costly. To begin our garage, I created a “plan“. I sketched out a rough draft of the garage and included the doors, windows and current storage, as well as the huge 4 x 8 dog cage we have for shelter for our dog. I then wrote a list of the groups of items we needed to organize and what I felt would be the best method/location. This didn’t always work out as well as I had hoped, but going in with a plan made things go much smoother. 2.) 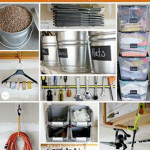 Purchase/gather supplies needed for organizing. I, personally do not like to spend money. Even on organizing, but I did spend it this time to create a better garage. 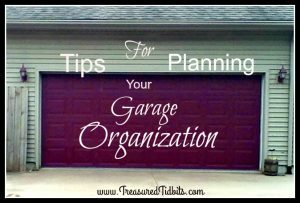 Honestly, our garage is used for much more than a garage, and without it being organized we have had more stress and lost more time searching, than you could ever imagine. I decided that we would purge and organize until we wouldn’t need to search for anything and could easily enter and complete our tasks with no stress or scrounging around. We used shower hooks I had grabbed at a yard sale, old and new containers, a variety of hooks we purchased at different stores and both old and new lumber. DON’T go crazy buying new items though until your are done purging and know EXACTLY what you have. 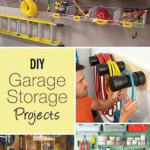 For great storage ideas follow these links to the photos above and visit our Pinterest Board Garage Organization Ideas. This may actually be the hardest step. 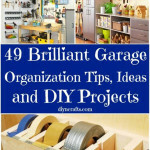 This post shares the questions you should ask as you clean out your garage. 4.) Remove all the items you have purged. DO NOT let them stay in your garage for “later”. Lord knows, they will still be there come spring. If you aren’t sure how or where to dispose of them, this post offers some great suggestions. 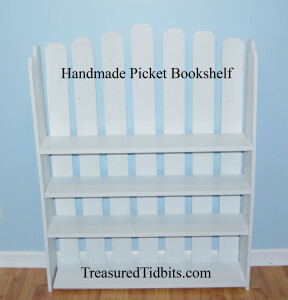 Additional DIY Organization Ideas can be found here. Update: We having recently begun a “Controlling the Chaos” series and would love for you to join us! We will renew the series again in 2017 with videos, printables and daily tips in our private Clutter Overcomers Facebook Group. Wanna join? Just click this link and ask to join. We would love to have you. 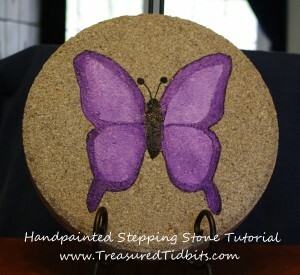 Want to hear more from us at Treasured Tidbits? Follow us on Pinterest, Facebook, Instagram and sign up for weekly emails to receive bonus tips, ideas and printables.